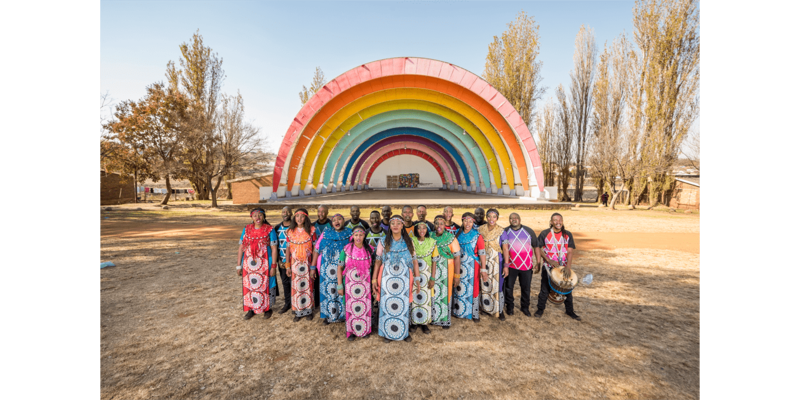 South Africa’s Soweto Gospel Choir will perform at the Touhill Performing Arts Center November 10 thanks to a grant to the African Heritage Association from the Arts and Education Council’s Monsanto Creative Impact Fund. The African Heritage Association (AHA) (an A&E grantee) is bringing the Soweto Gospel Choir for a concert at the Touhill on November 10. The concert will bring the St. Louis community together to celebrate and experience South African culture. AHA brings awareness of global contributions of African people and people of African descent through quality cultural and educational programs. The concert is funded in part through the Arts and Education Council’s Monsanto Creative Impact Fund, which provides grants to organizations that demonstrate immediate need for new programs or projects which show promise for creative new directions. Cynthia Cosby, president of the African Heritage Association, has been looking forward to seeing the choir back in St. Louis since they performed in St. Louis in 2012 as part of Washington University’s Ovation Series. The Soweto Gospel Choir formed in 2002 to celebrate the unique and inspirational power of African Gospel music. With a blend of Gospel, elements of Reggae, spirituals and American popular music, this group has a unique sound. The 43-member choir, under the direction of Beverly Bryer, draws on the best talent from the many churches in and around Soweto, a township of Johannesburg. Cosby shared that although their repertoire varies by performance, concert goers are likely to recognize songs. The choir sings in eight different languages, bringing South African culture across the globe. The concert is November 10 at 8:00 p.m. at the Touhill Performing Arts Center. The African Heritage Association is offering 15% off tickets for ARTS Card holders, get your tickets here. Your gift to A&E makes programs like this possible for our grantees.